The history is thus: The once-Druid Brona, seduced by his pursuit of dark magic, was forever transformed into the Warlock Lord—whose evil would be the downfall of the Four Lands and the death of the Races. Against him, the Elven King Jerle Shannara wielded the fabled sword that bore his surname and triumphed. Or so it was believed. But though the Dark Lord was driven out . . . he was not destroyed. The Druid Allanon knows only too well the prophecy passed down to him by his late master: that eventually the Warlock Lord will return. Now, after hundreds of years, that day seems imminent. And the time is at hand for the Sword of Shannara to once more be brought forth from its sanctuary to serve its ancient purpose. All that remains is for a blood descendent of the Elven house of Shannara to carry the blade into battle. With ever more portents of doom on the horizon, Allanon must seek out the last remaining Shannara heir, who alone will bear the burden of defending the Four Lands’ destiny. But with agents of darkness closing in from behind, unexpected enemies lying in wait ahead, and treachery encroaching on every side, there can be no certainty of success. Nor any assurance that this desperate quest will not be the Druid’s last. 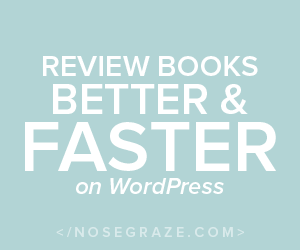 A novella chronicling Allanon’s quest to find the last Shannara heir? Count me in! I was expecting this novella to be an eye-opening read that answered a lot of the questions I had and still have about the events between The First King of Shannara and The Sword of Shannara. But I found myself disappointed – mainly because this novella is so short it really can’t do justice as a prequel to The Sword of Shannara. Repetitive and lacklustre are the two words that come to mind when I think about the writing in Allanon’s Quest. Most of the things mentioned in this book are things we already know, and the new details weren’t interesting enough to engage me. In this forty page novella, Allanon waxes lyrical about bringing back the Druid Keep back into the world and then using the Druid Sleep to wait out the years, but we already know all this and it seemed like a huge waste of space! The things I associate with the Shannara books – the world building, character development and inclusion of all things epic, just isn’t here. The journey itself, to find the boy we all know as Shea Ohmsford, is disjointed and not what I had expected. Everything fell into place too readily and suddenly, after a few minor set backs that did nothing, in my opinion, to further the plot, Allanon sets off to Shady Vale. While this novella will be enjoyed by die-hard fans of the series, and is definitely a must-read for those who need to know anything and everything about the Shannara world, I think the average Fantasy reader will give it a miss because of its lack of substance. 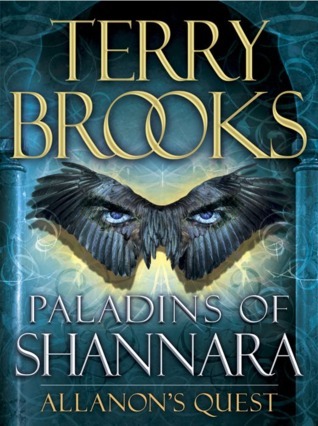 In my opinion, Terry Brooks should stick to what he knows, and continue to write full length novels.